Celebrate the end of your January detox with a supply of fudge for February! 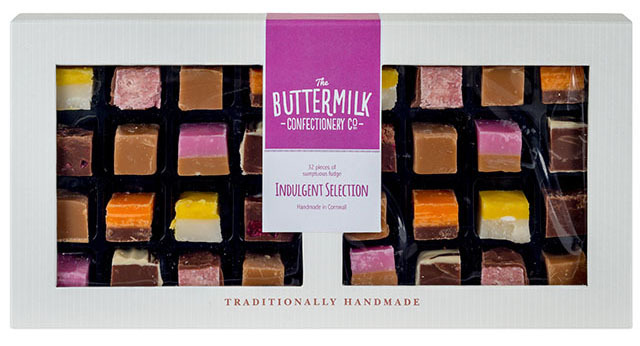 Buttermilk is a family-run business which has been producing handmade fudge since the opening of its flagship shop in Padstow in 1964. All of Buttermilk’s fudge is made using traditional methods in open copper pans and then left to cool overnight in wooden trays to guarantee a smooth and creamy texture. In addition to over 70 flavours of fudge, Buttermilk also produces brittles, toffees, truffles, marzipans, turkish delight and ices. 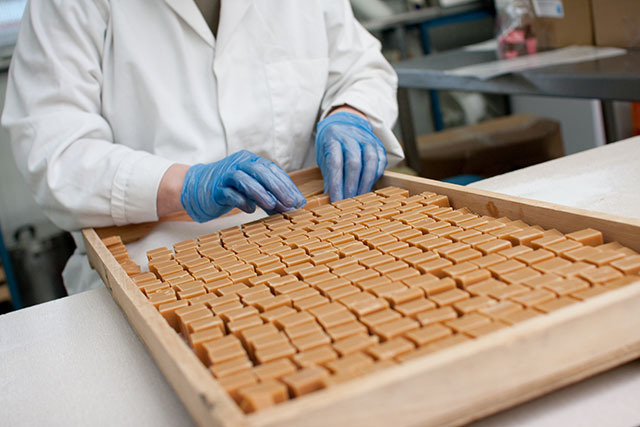 Their fudge has won an array of awards including Taste of the West and Great Taste Awards. …plus a large Indulgent Selection box, with 430g of Buttermilk’s eight most popular flavours of fudges, ices and marzipans. All you need to do is fill in the form below. The winner will be chosen at noon on Friday 30 January. The smallprint: No cash alternative, fudge will be posted to the winner, mainland UK delivery only.